Short on Cash this Holiday Season? Let Gems & Jewelry Inc. Help! The holiday season is so much fun, but it can also be extremely stressful. There are so many things that can totally mess with your finances during the holidays…. Travel, parties, extra activities, decorations, special food, gifts… the list goes on and on. 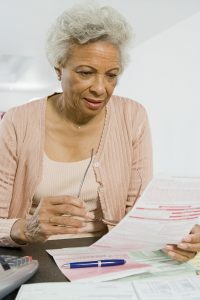 If you’re struggling financially this holiday season and you don’t know where to turn, please know that you’re not alone. While it’s somewhat of a taboo subject the holiday season is often tough for many people. You have all these extra expenses, but it’s not like you have any extra income! Thankfully, help is at hand. Come to Pawn Big Palmdale . Many people don’t know that they can get an influx of cash this holiday season within minutes when they come to Pawn Big Palmdale . All you have to do is bring a valuable item – a gold coin, piece of jewelry, or something along those lines. One of our expert appraisers will evaluate your item, determine its worth, and offer you a fair and honest price based on its objective value. Then decide whether you’d like to sell or pawn your item. Either way, you’ll be able to walk out with a wad of cash in your pocket within minutes. It sounds too good to be true, but it isn’t! Coins. We provide cash offers for all types of coins made with precious metals, primarily gold and silver, from anywhere in the world. If you’re not sure what your coins are made of, what do you have to lose? Bring them into Pawn Big Palmdale to get a cash offer you simply won’t be able to refuse. Precious gems. We’ll gladly take any kind of precious gem off your hands! Bring us your rubies, sapphires, emeralds, tanzanite, pearls, opals, diamonds, or any other precious gem you have. It doesn’t matter whether your precious gem is loose or set – bring it Pawn Big Palmdale to get the cash you need today. Diamonds. We absolutely love diamonds – they’re our specialty. Bring us your diamond that ranges from 1-10 carats in weight and you could get a cash offer anywhere between $5,000-$100,000 on the spot. Rings. Not sure where to sell your rings this holiday season? Come to Pawn Big Palmdale to get the highest cash offer in the quickest amount of time for all your gold, silver, or platinum rings. Fine watches. Make sure your watch is in good condition and bring it to Pawn Big Palmdale . We’ll give you a cash offer you’ll love. Necklaces/bracelets. Think you can’t sell your broken necklace or bracelet? Just bring it into Pawn Big Palmdale and you’ll walk out with a wad of cash within minutes. Skip the hassle and just come to Pawn Big Palmdale today. Silver jewelry and sets; gold jewelry, dental gold, scrap gold, and gold dust. If it’s made of silver or gold, we’ll definitely buy it! Platinum. Gold and silver get all the attention, but platinum jewelry is also highly valuable. We’ll give you the best price for your platinum items, regardless of age or condition. Come to Pawn Big Palmdale to get the cash boost you need this holiday season. 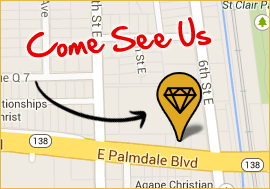 We’re located at 557 East Palmdale Blvd. Palmdale, CA 93550 and business hours are Mon-Fri 10AM-6PM.